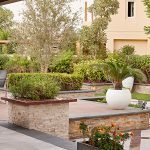 For those who live villas with small backyards or have terrace gardens in penthouses, creating an outdoor space where you can relax and entertain can be a challenge. Designers in Dubai have been helping homeowners get high return on their investment when it comes to their compact homes. This often means transforming tight, narrow or awkwardly shaped backyards into functional, comfortable extensions of the home. 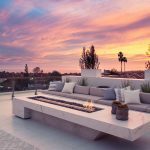 No matter the size of your outdoor space, these methods can work for anyone trying to turn their terraces or garden into an outdoor retreat to enjoy. 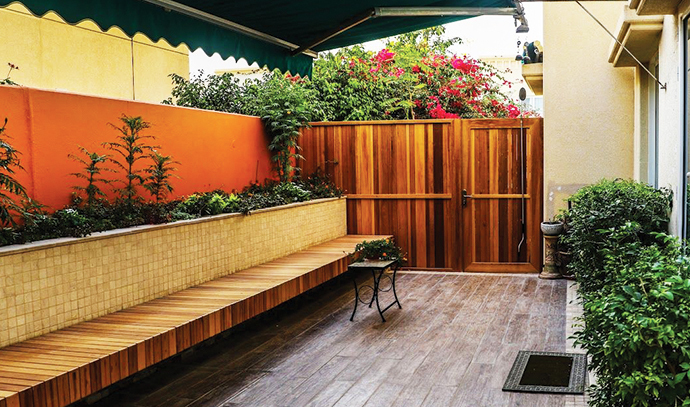 Here are some tips to help you make the most of your small outdoor space. If you own your villa and have a bit more room in your budget, you should consider adding some custom built-in options. A built-in bench made from either concrete or wood is an ideal solution for a tight spot, as you build it to fit in your space perfectly. Combining a built-in bench with a table can create the perfect outdoor dining spot and doubles as a fun gathering space to entertain family and friends. 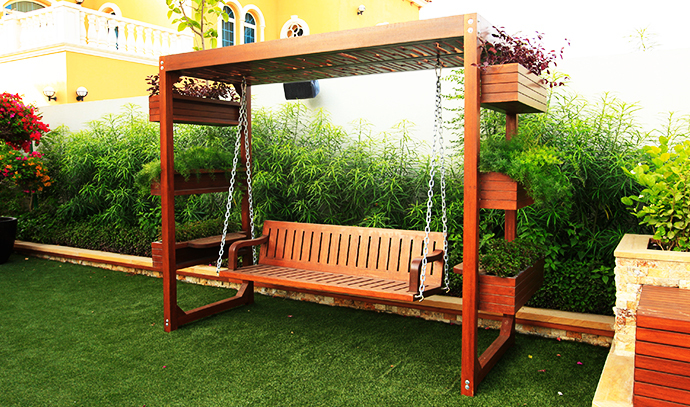 Outdoor ready made furniture has standard sizes and cannot fit in compact spaces and width is too big too. Another savvy design to maximize your tiny outdoor space is with hidden storage. This option is perfect for those who want to store their outdoor pillows, throws or entertaining necessities while keeping them readily available for their next gathering. Even if you live in a hotter climate, it’s a good idea to keep your outdoor decorative items away when you’re not using them. Whether you opt for a storage bench, storage ottoman or side table, you can’t go wrong with storage that doubles as seating. Whether you are decorating an indoor or outdoor area with limited space, double-duty furniture provides an ideal solution to maximize your space. While a storage bench works, you can think outside the box when it comes to decorating your space. Consider using a small coffee table for extra seating, adding a stool that doubles as a side table, or incorporating larger weatherproof throw pillows that also works as floor cushions. Double up for double fun! There are some pretty extreme opinions on both sides for artificial plants and grass options. And while the real deal is always better, when added to your space properly, artificial grass works superbly. 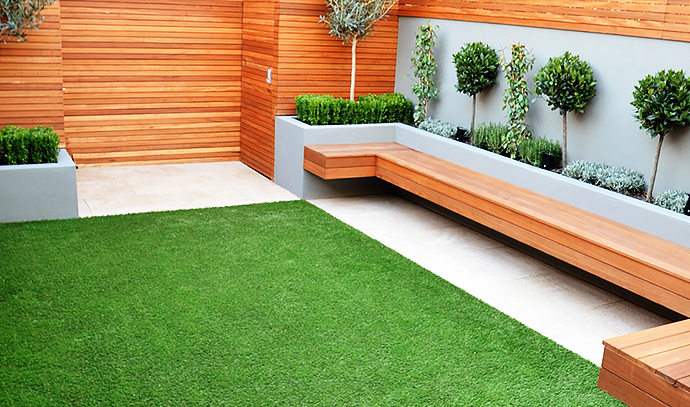 Artificial grass is a great option for an urban patio or balcony to inject the feeling of an actual, organic lawn. The trick is to make it look real. Start by making sure you’re putting the grass down across an entire defined area. Be sure to eliminate any harsh edges that would immediately indicate that your grass is not real. 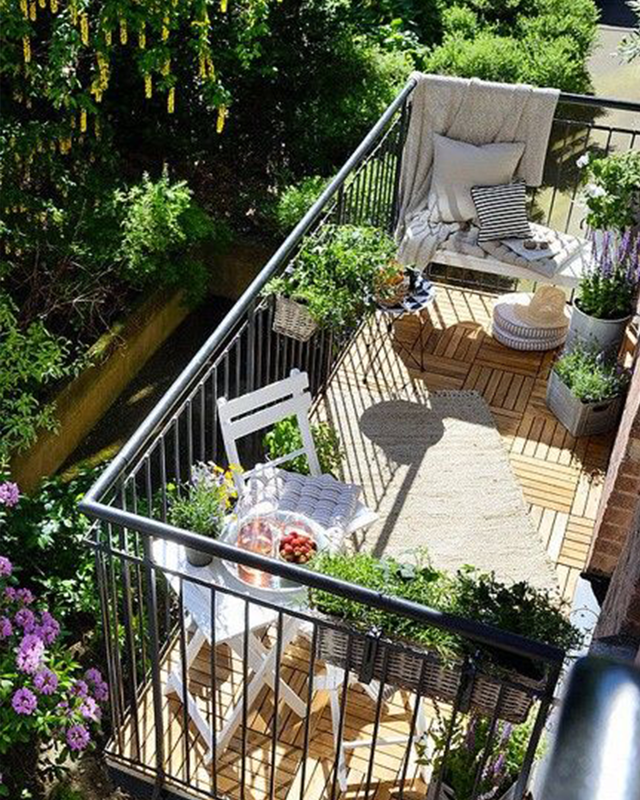 Even when you’re working with a small amount of space, you can still create a gorgeous, vibrant outdoor garden. For a balcony, it’s easiest to stick to a container garden. With this type of garden, you will grow all of your plants and flowers in unique containers, pots or creative jars. Container gardens grant you flexibility, allowing you to move things around to change your space. Plants, flowers, and vegetables can all be grown in small-space gardens. Lacking room for a traditional garden? Think! Vertical gardens inject an eye-catching greenery element to city spaces without hogging all of your precious square footage. For those of us with a small patio, balcony, or tiny backyard, our outdoor design options always feel a bit more limited. 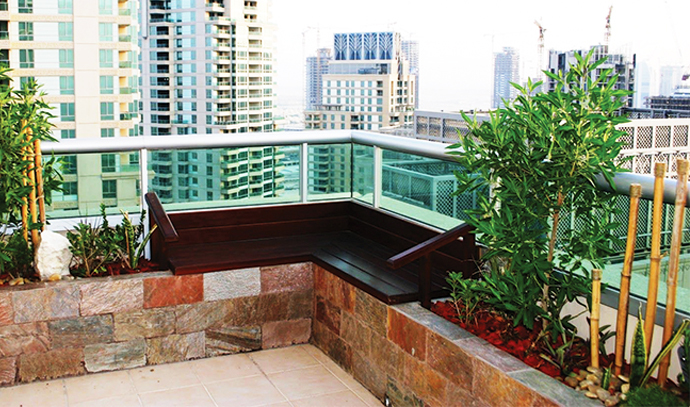 However, with a bit of creativity, you can produce an amazing outdoor oasis regardless how small your space is.